What is Public Administration Associates, LLC? Public Administration Associates, LLC, is a consulting firm specializing in local government recruitment and management studies. PAA was organized in April 1998 by partners William Frueh, Denise Frueh, and Stephen Hintz. In September, 2017 Kevin Brunner became a partner, after serving as an associate since 2015. Please see below for information on each partner and current associates. What expertise do the partners have in local government? Partner Kevin Brunner has over thirty-two years of experience serving Wisconsin local governments. 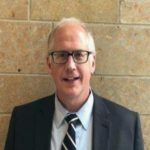 He served as manager/administrator in Saukville, Monona, De Pere and Whitewater and worked as an assistant Administrator for the city of Appleton and Kenosha County. He recently retired from public service after serving as Director of Central Services/Public Works for Walworth County. Brunner became a Partner in PAA in September 2017. Kevin was the recipient of the 2007 Manager of the Year and 2012 Service Innovation awards, both from the Wisconsin City and County Management Association (WCMA). Brunner is a past president of the WCMA and served on the League of Wisconsin Municipalities and Alliance of Cities Boards of Directors. He is a MPA graduate of Michigan State University and the University of Virginia Senior Executive Institute. Partner Stephen Hintz served on the faculty of the University of Wisconsin Oshkosh from 1972 to 2001 where he taught personnel, budgeting, and municipal management in the Master of Public Administration program. For twenty years, he served as executive secretary of the Wisconsin City/County Management Association. Hintz holds a Ph.D. in political science from Yale University. He has been consulting with municipalities on recruitment and management issues since 1980. In 1998, Hintz was elected to the Oshkosh Common Council and was the Mayor of Oshkosh from 2002 to 2004. In 2001, he received the prestigious Sweeney Academic Award from the International City/County Management Association for his lifelong work in promoting public administration. Partner William Frueh has served local and state governments since 1962, as a City Manager in Council Bluffs, Iowa; Newton, New Jersey; Shawnee, Oklahoma and retired in 1996 after 20 years as the city manager of Oshkosh, Wisconsin. He also served as the Director of Economic and Community Affairs for the State of Oklahoma. Oshkosh Citizens and the Oshkosh Northwestern newspaper named Frueh as one of the ten people in Oshkosh who most influenced the development of Oshkosh during the twentieth century. Frueh received his bachelor’s degree in Civil Engineering from Iowa State University and has experience as a City Engineer and Public Works Director. He has been actively consulting since 1996 and is a Life Member of both the International City/County Management Association and WCMA. Partner Denise Frueh received both her bachelor’s and master’s degrees in Business Administration from the University of Wisconsin. She has over 20 years of experience in serving municipal governments, as Deputy Assessor for the City of Oshkosh, WI and as a consultant to local governments. In addition to serving as the business manager for Public Administration Associates, she has been actively consulting since 1996 on numerous executive searches and administrative studies for Midwest municipalities in Wisconsin, Illinois, Minnesota and Iowa. Associate Dave Tebo served as a Municipal Administrator in Wisconsin for 25 years, most recently in the Village of Poynette (1994-2000) and Town of Greenville (2000-2017). Tebo has a master’s degree in Public Affairs & Administration from UW-Madison and a bachelor’s in Urban & Regional Studies from UW-Oshkosh. Dave is a Credentialed Manager (CM) by the International City Management Association (ICMA) and Certified Public Manager (CPM) by the State of Wisconsin. He is experienced in all local government management duties including: budgeting, financial analysis, human resources, community development, planning and economic development. Project areas Dave had in-depth experience and success with in Greenville include: Land Use Planning, Sustainability, Land Stewardship (Creation of Two DATCP recognized Agricultural Enterprise Areas), Grant writing for Trail Construction and Administration ($3 million in trail projects over the last 15 years), and Economic Development (TID Development and work with Fox Cities Regional Partnership). Tebo’s work in Greenville was featured in the book The New Public Service-Serving, Not Steering by Janet and Robert Denhardt in 2007. Associate Duane Gau has over thirty years of experience in Wisconsin local government. He has worked on cooperative agreements, boundary agreements, TID management, personnel management, recruitment, public works/utilities and finance. In 2001, as Village Administrator, he assisted in a merger of a Village and Township to create a new governmental entity. Gau provided organizational analysis and salary studies for the Villages of Holman and Cross Plains and has served as interim administrator for the Villages of Mount Horeb, Holmen, Maine, Brokaw, Town of Texas and interim Public Works/Utilities Director for Ripon Wisconsin. He provided recruiting services for Cottage Grove, Mount Horeb, Holmen and Cross Plains. Duane has a bachelor’s degree in Business Management from Cardinal Stritch University in Milwaukee and a associate’s Degree in Civil Engineering from Madison College Technical College. He is member of WCMA. Associate Sue McDade has over 30 years of experience as a local government recreation and facilities administrator. She is currently the Community Services Director in Waunakee, Wisconsin, a fast-growing north Madison suburb. Responsibilities include recreational programming, supervision of the community center (including a fitness center, gymnasium, community room and senior center), and development of the park system, currently consisting of over 200 acres of park land. Mc Dade obtained a master’s degree in Recreation and Park Administration from Penn State University. She is a past president of the Wisconsin Park and Recreation Association (WPRA), serving from 2014-2016. She is the recipient of numerous Wisconsin and regional honors and awards, including the prestigious WPRA Professional Award of Merit in 2010. McDade teaches courses in the Recreation Management Program at Madison Area Technical College. Recently Retired Timothy Franz is the fire chief of the Oshkosh Fire Department and has been in the fire service for over 30 years. Franz has an associate’s degree in fire protection from Fox Valley Technical College and a bachelor’s degree in fire science from the University of Cincinnati. He also is a graduate of the National Fire Academy Executive Fire Officer Program. Franz is a past president of the Wisconsin State Fire Chiefs’ Association and has served as a consultant on various fire and emergency management studies. Recently, he has worked on PAA fire/EMS studies for Verona, Sevastopol, Door County, Buchanan, five Oconto County Townships, and the Sturgeon Bay Fire Department. James Austad is an instructor in the Fire Protection Program at Fox Valley Technical College. He is a 28 year veteran of the fire service, spending 22 years with the Oshkosh Fire Department. He was the battalion chief in charge of the emergency medical services division of the Oshkosh Fire Department. Austad received an associate’s degree in fire protection from Fox Valley Technical College, a bachelor’s degree in business management from Silver Lake College, and a master’s degree in public administration from the University of Wisconsin Oshkosh. He also is a graduate of the National Fire Academy Executive Officer Program. Austad has recently worked on the PAA Sevastopol, Door County, Buchanan, Oconto Township, and Sturgeon Bay Fire Department studies. Associate Gordon Hintz received his bachelor’s degree from Hamline University (MN) and master’s degree in public policy and administration from the University of Wisconsin-Madison. He has worked as a member of Senator Herb Kohl’s staff in Washington DC, a research assistant for the Kettl Commission on state and local government, and a management assistant and budget analyst for the City of Long Beach, CA. Hintz was elected to the Wisconsin Assembly in 2006 and currently chairs the Consumer Affairs Committee and is a member of the Urban and Local Affairs Committee and the State Building Commission. Associate Chris Swartz has served as a municipal manager in Wisconsin for over 30 years, most recently as Village Manager for the Village of Shorewood (2004-2017), Administrator for the Village of Sussex (1990-2004) and Clerk-Treasurer Administrative Coordinator Village of East Troy (1986-1990). He started his career as a researcher for the Citizens Governmental Research Bureau/Public Policy Forum (1983-1985). Chris, as an independent contractor was hired by the North Shore Communities to study Dispatch and Fire Consolidation for the North Shore communities of Shorewood, Whitefish Bay, Glendale and Fox Point (1985-1986). He retired from Shorewood in 2017 as a credentialed manager as designated by the International City Management Association ICMA). Swartz has a Master of Science degree in Urban Affairs from the University of Wisconsin-Milwaukee (1983) and an undergraduate degree from University of Wisconsin-Stevens Point. Swartz has been recognized for his innovative approach to economic development, strategic and financial planning, organizational development and intergovernmental cooperation. He is known as a mentor to emerging public administration leaders through his tenure as an adjunct professor within the Masters of Public Administration(MPA) graduate program at the University of Wisconsin-Milwaukee and his involvement in the MPA Alumni Association. Swartz has been formally recognized for his lifetime achievements, including Wisconsin City/County Management Association “Meritorious Service Award”(2015), James R. Ryan Lifetime Achievement Award from the Public Policy Forum (2017) and Wisconsin Economic Development Association Fredrick C. Pearce Lifetime Achievement award (2017). Associate David Berner received his bachelor’s degree from UW-LaCrosse. He served in various local government leadership positions for over 33 years including Mayor of Rice Lake, Town Administrator of Menasha, City Administrator of both Tomah and Monona and City Manager of Platteville. Since retiring from active public service in 2011, Berner has served as a management consultant and interim municipal administrator. Most recently, he served the City of Lake Geneva as its temporary administrator. PAA Associate Darrell Hofland is the current Administrator for the City of Sheboygan (est. population 48,329) and as served in that position for the past three years. His previous municipal experience of 32 years includes three communities in Wisconsin. He has also held several federal and congressional positions in Washington D.C. and Chicago with the Government Accountability Office, Federal Aviation Administration, Department of Agriculture – Economic Research Service, and Senator Roger Jepsen. His academic credentials include attainment of a Master of Public Administration from the American University, Washington, D.C. with a concentration in Financial Management, and a Bachelor of Arts in Political Science and Psychology from University of Iowa. Mr. Hofland was also the first recipient of the Meritorious Service Award in 2000 by the Wisconsin City/County Management Association.